Air-Cooled Hybrid Roll｜Products｜Tokuden Co., Ltd.
New Product Announcement : "Air-Cooled Hybrid Roll"
Reduced cooling time of the roll by 85.7% verses ambient air cooling. Rotation speed : 90 rpm. Results : Air-cooled hybrid roll cooled 85.7% faster than allowing the roll to cool at ambient temperature. The air-cooled hybrid design allows for both "roll heating" and "roll cooling" in one roll without the use of water or oil. 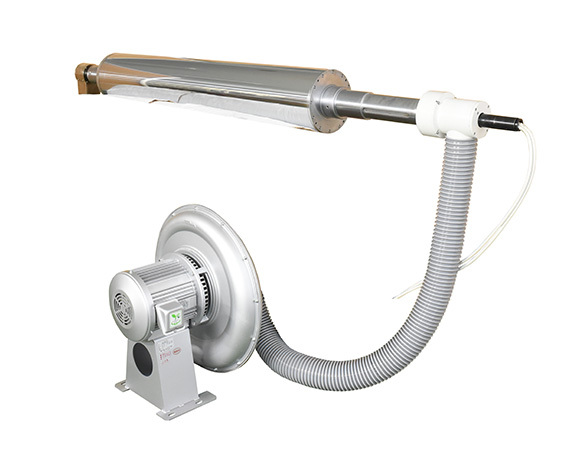 The air-cooled hybrid roll achieves excellent temperature ramp up time by induction heating while allowing for temperature reduction performance by utilizing blown or vacuumed air. 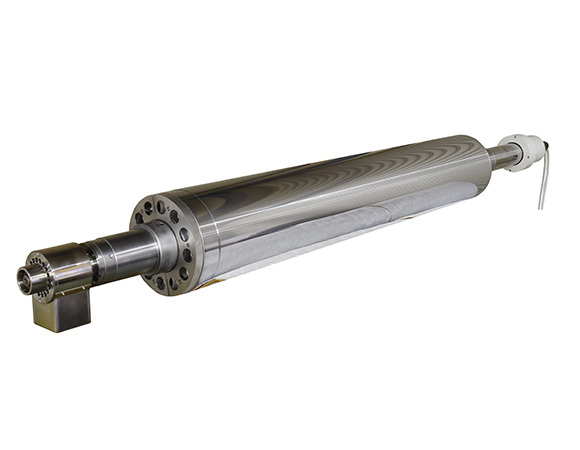 The air-cooled hybrid roll is an excellent choice for high-variety, low-volume manufacturing where frequent temperature setting changes are required for grade changes, material changes or for cleaning the roll surface. Decreased time for temperature reduction equals faster startup time which allows for increased production. The air-cooled hybrid roll can also be designed for "balanced cooling" whereas the material makes contact with the roll at a higher temperature than the roll surface temperature. 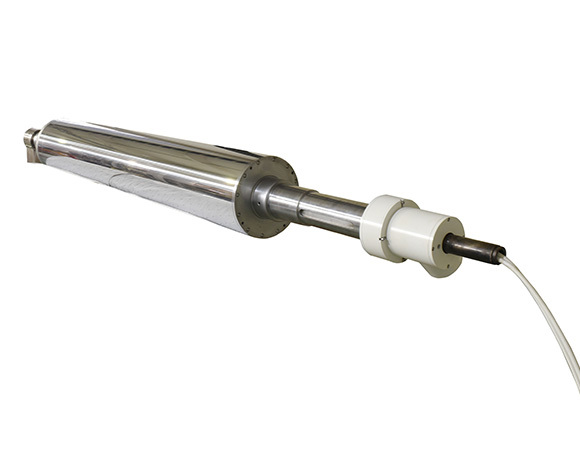 The cooling system will activate maintaining the desired roll surface temperature. (temperature control operation). Oil also uses no water above all, so there is no risk of water leaking. 85.7 % reduction in cooling time of the roll. No risk of the water or oil leaking. Temperature range from ambient to a maximum of 400°C. Roll surface temperature remains uniform.